Doni Custom Guitars have outdone themselves by merging two of the most beloved of pastimes, music and Star Wars, in the Han Solo Millennium Falcon Guitar! 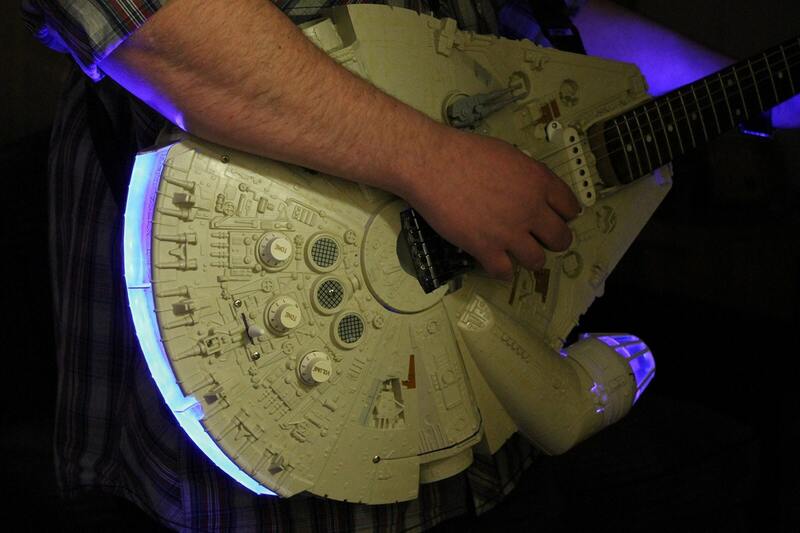 The guitar is literally made from a massive Millennium Falcon toy. 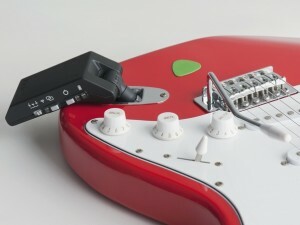 How they scraped together enough of the large units from 1979 to 2004 remains a mystery, but the custom guitar gurus at Doni decided to use the model spacecraft as the body of a Stratocaster style-based guitar. A vivid image of Han graces the head of the three single humbucker axe, and the craftsmen claim that it produces great tone. Personally, I am a little flummoxed at that claim, as the body is devoid of wood and made of plastic and the careful addition of numerous LED lights. 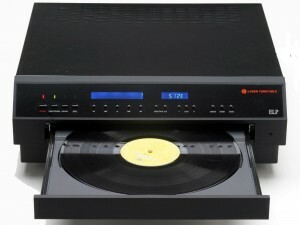 But as with the old Danoelectro models that were made of countertop Formica, maybe the sound resonates well, despite the semi-hollow plastic body. What cannot be understated here though is that a visual powerhouse to assault your eager listeners at every encore, just the fact a life-like Millennium Falcon guitar can light up and actually play, strumming the strings and all, is pretty awesome. Maybe a little Star Wars theme music, John Williams style, starts off the show bedazzling the attendees with the shredding of a truly unique instrument. Heck, if you want to play act with the backup singer, Leia, why not? ‘I know,’ he replies in classic steely Han Solo confidence. 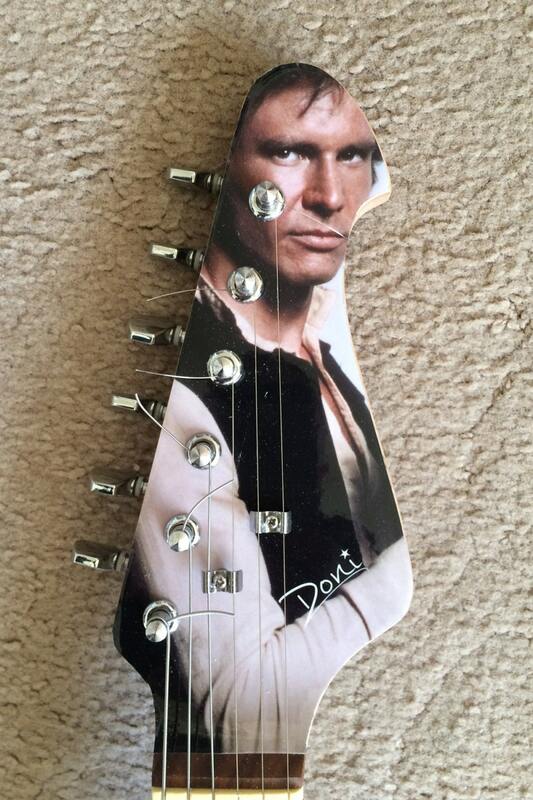 The cost of this geek worthy Han Solo Guitar is $710.79 and comes directly from the UK.